It was a night of redemption last evening in the X Games SuperPipe for two longtime halfpipe dominators, David Wise and Maddie Bowman. Bowman won her fifth Aspen X Games SuperPipe gold with the help of a switch 720, back-to-back left and right 900s, and a concerted effort to grab her tricks. After winning four straight X Games SuperPipe from 2013 to 2016, Bowman’s gold-medal streak ended last season when Marie Martinod and Ayana Onozuka claimed first and second, leaving Bowman with the lowly bronze. In 2018, though, Bowman was having none of it, delivering a solid performance to reclaim her throne as the reigning queen of halfpipe. Despite a run that lacked a switch hit, American Brita Sigourney swooped into second place, buoyed by a massive cork 900 and solid amplitude throughout her run. She was followed by Canadian Cassie Sharpe, another member of the “Big 900 Club,” who snagged the bronze on her third and final run with left and right 900s and a right 360 to switch left 360 combination. 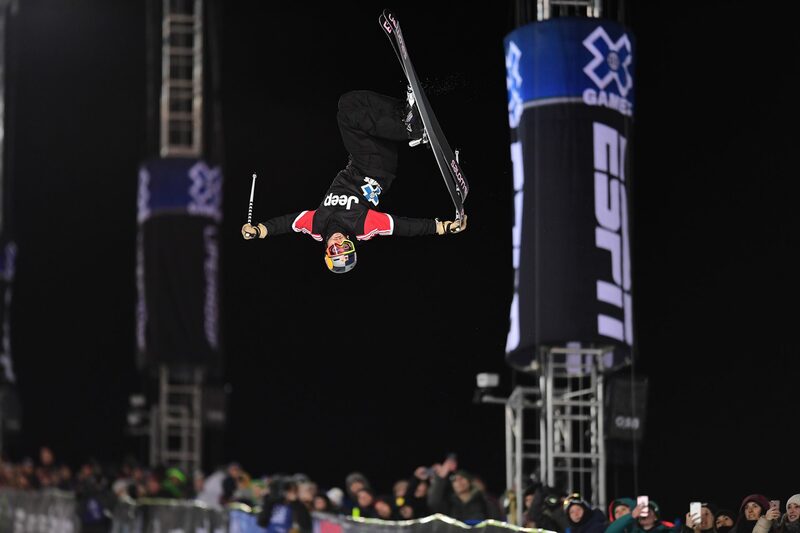 On the men’s side, longtime X Games dominator David Wise also staged an impressive comeback. Wise, who hasn’t won a medal at X since winning three straight golds from 2012 to 2014, pulled out all the stops in his third and final run, linking up all four doubles—switch right dub 10, left dub 12, switch left dub 10 and right dub 12—which we’ll trust commentator Tom Wallisch and say was a first-ever accomplishment. Wise was followed by Alex Ferreira in second with four double corks of his own on the last run of the night—right dub 12, left dub 10, left dub 12 and right dub flat 9—sneaking past Torin Yater-Wallace, who picked up the bronze. Now for some shoutouts for those who missed the podium. In what is probably her last X Games appearance—unless she stages a third comeback!—French halfpipe dominator Marie Martinod pulled out all the stops with a huge attempted cork 1080 on her last hit, which likely would have secured the win if she’d been able to stomp it. Congratulations to Marie on a stellar X Games career that has lasted over a decade—we’re excited to see you ski in the upcoming Olympics! For the men, props are due to Canadian Noah Bowman, the undisputed king of switch skiing in the pipe, who pounded out an incredible three switch doubles, including a perfect switch double 12, in a run which was somehow only good enough for sixth place. Shoutout as well to Taylor Seaton, who landed three clean runs focusing on style and alley-oop hits—good enough for fifth place. And since no Downdays article on halfpipe skiing is complete without a bit of controversial critique: Yo Jen Hudak in the commentators’ booth, learn the difference between a switch 720 and a switch 900! (Just kidding, you mostly killed it on commentary. But still…) Those switch pipe tricks can be confusing, even if you’re an X Games commentator! 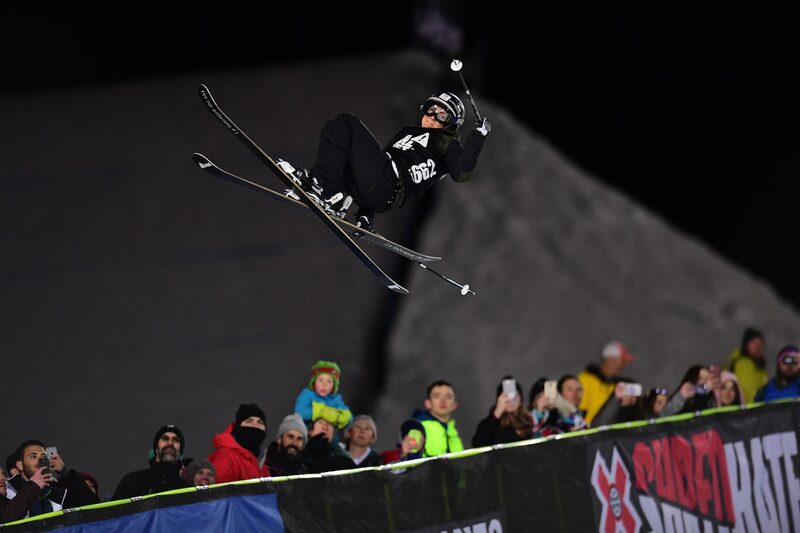 Freeskiing at Winter X Games 2018 continues today with men’s ski slopestyle qualifications. On Saturday it’s time for Women’s Slopestyle and Men’s Big Air, followed by Women’s Big Air and men’s Slopestyle on Sunday. All events can be watched online with a subscription to the ESPN Player. You can find the full livestream schedule here.